EagleSpeak: Fire Scout? We don't need no stinkin' Fire Scout . . .
Fire Scout? We don't need no stinkin' Fire Scout . . .
Every now and then CDR Salamander has been known to refer to some of my posts. Turnabout being fair play, let's look at his recent post on the proposed cancellation of the rotary winged MQ-8 Fire Scout drone "wonder copter" as set out in "Because after awhile, people tire of being made the fool"
The whole helo-drone program was a good experiment, but as with many experiments as of late - it was . . . oversold . . . 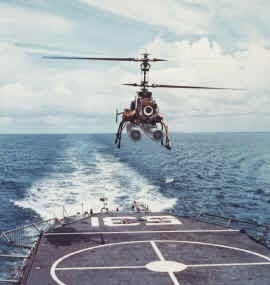 The frequently asked question of "Why is it that an aircraft that was so ahead-of-its-time, then in the 1960s, is not used by our Navy/military, today" from our public and military visitors alike needs to be answered and here at the Gyrodyne Helicopter Historical Foundation (GHHF), we felt that the NAVY should answer that question. Accordingly, here is an internal Navy memo, since declassified, written by Lieutenant Commander Ira B. Anderson USN in 1970 to the Chief of Naval Operations (CNO) which offers a glimpse of the internal struggle waged by the Naval Aviators which were frightened at the possibility of being replaced by Drones and the Drone supporters who were convinced that being freed of concern over the loss of human life, true expansion of the military applications of Drones/UAVs could be attained furthering our nations offensive and defensive capabilities. In that struggle for control, the Navy failed to support its' state-of-the-art UAV program (the first of its kind in the world) and therefore failed DASH. 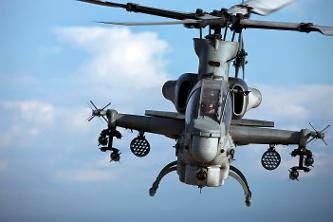 A package of sensors and software that is claimed to be able to turn any helicopter into an unmanned craft has passed two demonstration flights. "In the demonstration tests at Quantico, a Marine with no prior experience with the technology was given a handheld device and 15 minutes of training," said a press release from the Office of Naval Research. "The Marine was able to quickly and easily program in the supplies needed and the destination, and the helicopters arrived quickly-even autonomously selecting an alternative landing site based on last-second no-fly-zone information added in from the Marine. The Autonomous Aerial Cargo/Utility System AACUS consists of a sensor and software package that can be fitted to manned helicopters to avoid obstacles in low visibility conditions. The same package also enables a helicopter to become an unmanned aircraft. "A self-flying robot with laser beams. It doesn't get much cooler than that." Okay. It's being used for cargo helicopters. How about if you put one of those packages on - say- a Super Cobra? A relatively low-cost anti-surface weapon system launched from an LCS? Or any ship with a flight deck? We already own the aircraft - and they don't need to be state of the art to do that sort of mission. Just saying . . .
Office of Naval Research AACUS info here. So, the basic question is whether the expense of Fire Scout can be re-directed to making AACUS available for non-cargo use? If so, why pay to develop Fire Scout? There is a lot more to Firescout than simply a remote control or autonomous take-off/landing. The sensor integration and dissemination piece is huge. DASH was one of those things, like the flying wing, that was just too far ahead of the control systems, if we'd had the computational and navigational systems then that we have now, both would have worked fine. This is one of the things that makes me wary of transformational systems where portions of the technology are either immature or "we're sure they'll appear". Experiment to your heart's content, but don't inflict on the Fleet until it really does what it's supposed to. Did I really tell that DASH story a million times?